What's Up with This Official Warner Bros. Poster for 'Wonder Twins'? Something strange arrived at Midtown Comics yesterday, and ComingSoon was keen enough to notice their confusion on Twitter. 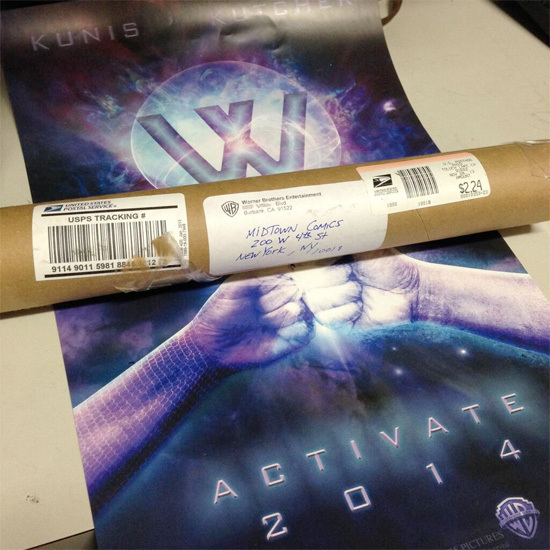 There have been some pieces of viral marketing and teaser posters that have just turned out to be fanmade, which is why the comic shop in New York was a little leery of a poster tube that arrived with an a teaser poster for Wonder Twins, the extraterrestrial cartoon superheroes created by Hanna-Barbera for the "Super Friends" TV series and later put in the DC Comics universe. 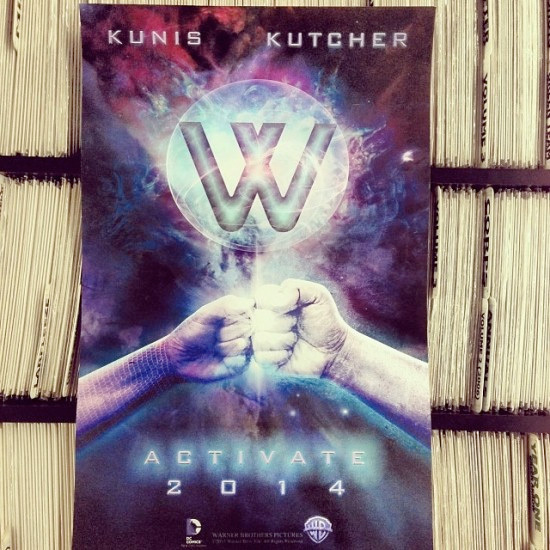 With the obvious tagline "Activate" and Mila Kunis and Ashton Kutcher as the leads, this seemed fake, but there's more. Actually, that raises an interesting question. Since Aquaman is part of the DC Universe, and there's all this buzz about Warner Bros. bringing together the appropriate heroes for Justice League, then Vincent Chase (Adrian Grenier), would likely have to be involved in some capacity, right? But that's a lot to include in the Entourage movie, so maybe the studio will end up going in a completely different direction and they decide that they don't want Aquaman involved, or they just don't want Chase back at all. That would be a crushing blow to the movie star's ego. Anyway, we'll have to see if anymore fake posters like this pop up. ....also starring Andy Kaufman as Gleek. 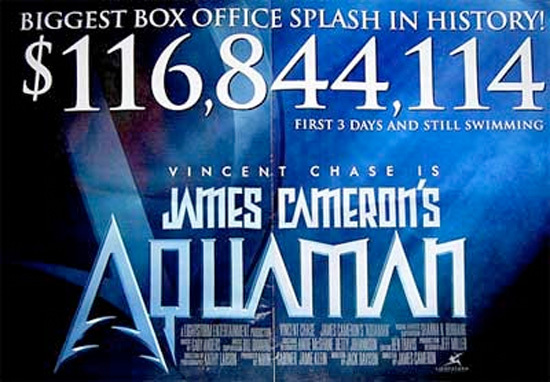 Didn't they replace Vinnie Chase with Jake Gyllenhaal for the Aquaman sequel?